More to the point, it is a cowbell that can be borrowed from the Carnegie Library of Pittsburgh. Surprise. 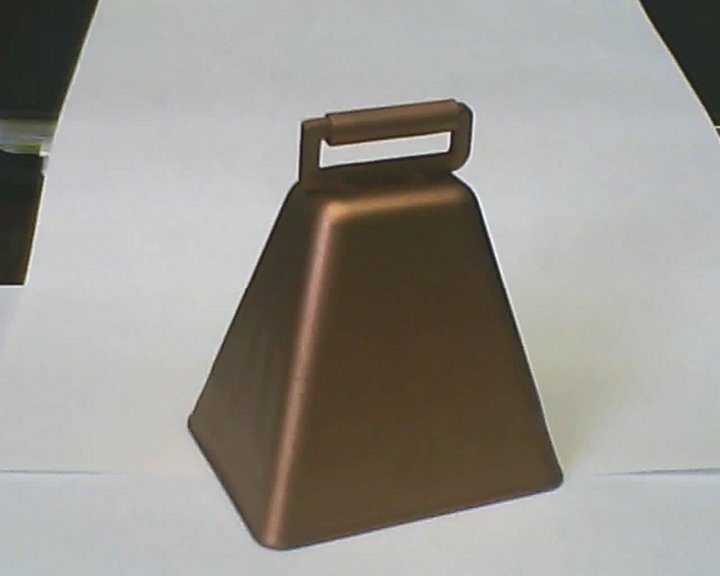 This particular cowbell is included as a piece of realia in one of the library’s senior activity kits. “Realia” is the fancy librarian word for “circulating items that you might not expect a library to have,” and a little bit of catalog search magic reveals that you can borrow all sorts of unusual things from libraries all over the county. But: back to the cowbell. So, if you work with seniors, and you think one of our kits — with or without cowbell — might enhance your programming options, give Main Library a call to arrange an Oakland pickup. Can’t make it in to see us? Contact the staff at your local district library and they’ll work with us to set it up for you.